From the leftfield to the rightroyalrave, via heavy electro and psybreaks. It’s a cratedigging show – unearthing classic nuskool, progressive and tripadelic breaks from 1999-2007. Despite living just half an hour away I have yet to play in Bournemouth, but that will change this Friday 6th June as I make my debut for Eden at The Winchester. I’ve been to a couple of Eden nights before and they always have a wicked atmosphere so I’m really looking forward to it. 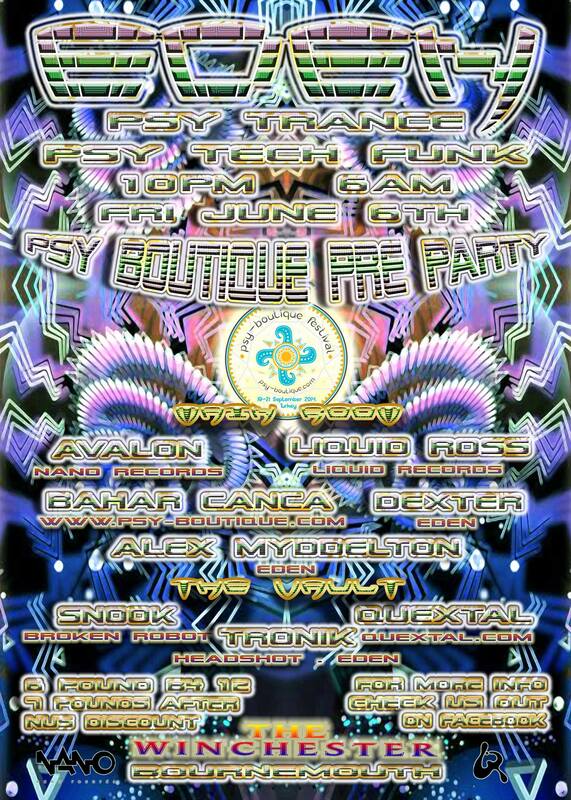 I’ll be bringing psybreaks and other groovy trippy shiz to the Vault alongside my good buddy Snook, while in the main room there’s prog and psytrance with Avalon, Liquid Ross and many more, and it runs all night from 10pm – 6am. If you’re in the area I hope to see you there!